Cross'N My Stitches: Oh What a Beautiful Morning! Both Quaker Diamonds and your shawl are just gorgeous! I love those fall colors. I love the Quaker Diamonds; I am getting more and more interested in these types of samplers and have several on my wish list. Oh, and that ship! I would love to take a tour of that gorgeous gal! Hope you have a great time. 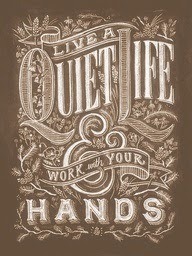 Beautiful progress on your Quaker design! LOVE your shawl! Have a fun field trip with Matt. Lovely progress on Quaker Diamonds and your shawl! Riley is just lovable!! Love the colors in the shawl. Glad you had a great day! 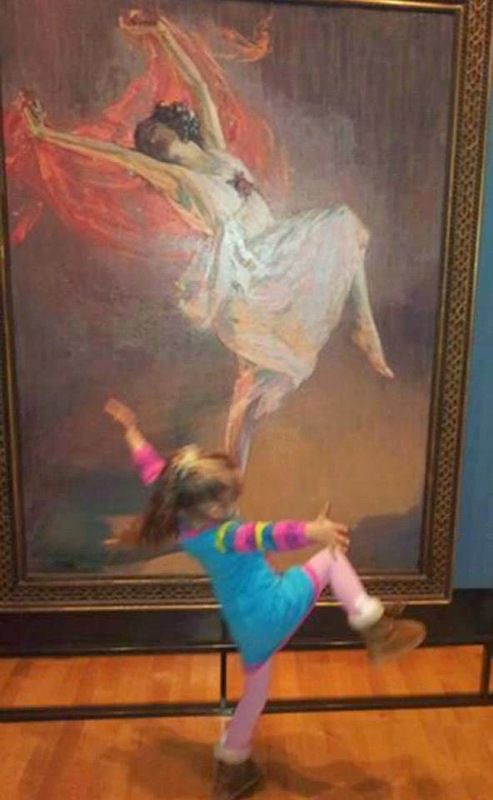 Love that photo of the little girl mimicking the lady in the paintin! So charming and sweet!! The shawl is coming along beautifully!! It looks great on you too. The RAK blog is a great place to meet all sorts of people. I haven't been as active this year due to other commitments but I'll be thinking of a couple of RAKs for summertime! Thanks for the link to me :D Hugs! I found your blog through surfing. Your Quaker stitching is beautiful, I love the colours you're using. Your shawl is gorgeous too, again lovely colours. I hope you and your grandson enjoyed your trip to see The Eagle - it's a very majestic looking ship. Lovely flower photos - sometimes the wild flowers are prettiest of all. I am quite sad today after the shock of a young friend's untimely death (hit by a drunk driver while jogging). He left a sweet little 6 year old daughter. You pictures cheered me up a bit with the lovely flowers and the cute little girl dancing. Linda Lee, Miss your posts, hoping everything is going fine and you are busy feeling the colors.